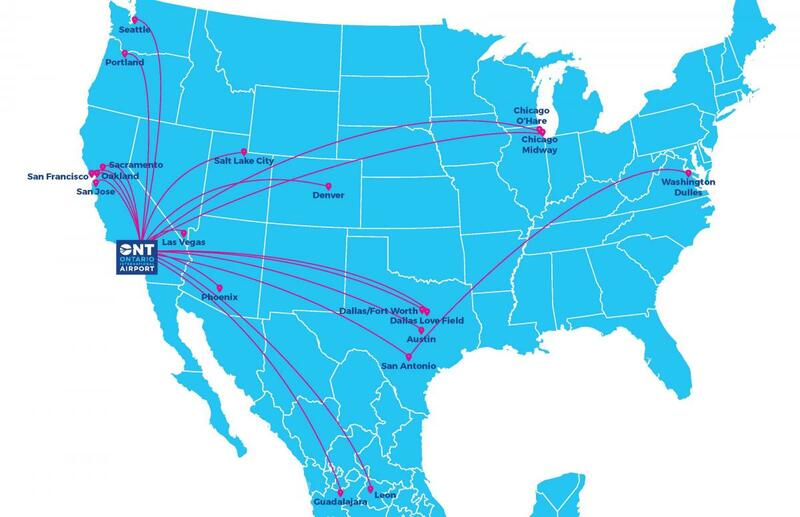 Ontario International Airport has welcomed the arrival of the busy summer travel season by continuing a double-digit surge in domestic and international travel that has made ONT one of the fastest-growing airports in Southern California. Domestic and international travellers totalled 438,974 during May, up 12.4% from May of last year when passenger volume was 390,516. While domestic volume increased 10.7% last month, the number of international passengers grew 63.3%. The dramatic rise in international travel was the result of new daily service between Ontario and Taiwan launched by China Airlines in March this year. Through the first five months of 2018, nearly 2 million passengers travelled through ONT, an increase of 11.1% over the same period in 2017. "Our customers continue to show great confidence in our airport, a testament to all that is being done to develop Ontario into a first-class international gateway," said Mark Thorpe, chief executive officer of the Ontario International Airport Authority (OIAA). "Business and leisure travellers alike see the value of our facilities, services and amenities, not to mention the seamless, hassle-free experience which has become our hallmark." Frontier Airlines, which established service at ONT in October, will add daily service to Orlando in August, the first ever non-stop service from the Inland Empire to Florida. JetBlue previously announced it will return to ONT after a 10-year absence with daily round-trip service to New York's John F. Kennedy International Airport beginning in September. Ontario's passenger terminals are currently undergoing a major transformation of dining and retail concessions with capital investments totalling more than $8 million. Popular national brands including WPizza by Wolfgang Puck, Einstein Bros Bagels and Rock & Brews are already open for business.